3 or more A’s: Bonjour! You have perfectly French taste and favor all things classic—but you’re far from boring. Whether you’re wearing worn-in jeans and a trench, or a simple black dress, the perfect shade to complement your timeless style is classic red. 3 or more B’s: You’re sophisticated and elegant, but far too easy going to be chained to your compact for lipstick touch-ups all night. Creamy nudes is your signature lip color! It allows you to have fun with long-wear eyeliner and vibrant shades of blush, while keeping your pout a neutral one. 3 or more C’s: You know all the tricks to keep your lip color in place! 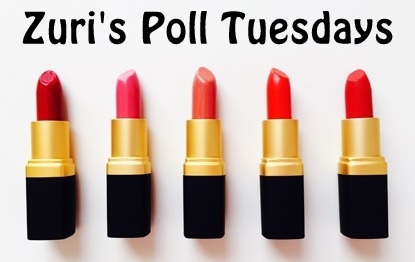 Your signature lip color is purple/ mauve! You don’t follow the rules (especially beauty rules) so don’t be afraid of wearing this hue all year round. We suggest pairing it with a corresponding blush and golden highlighter to keep the look light. 3 or more D’s: You are so romantic that your house will never have enough of English roses? You love floral prints, silk chiffon, and all things feminine, which makes your signature lip color soft rose. This shade is perfect for you, because it’s gentle enough to give your pout a wash of color, but never looks like you tried too hard. Pair your rosy hue with matching blush and soft, fluttery lashes for the ultimate romantic look.